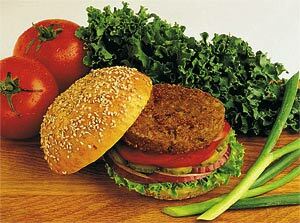 Veggie burgers are gaining in popularity all over with the vegetarian diet being a choice for many. My favorite was recently my sweet potato burger and l’ve been experimenting with a few others as well! This Walnut Lentil Burger is also a hit! Give it a go and consider topping it with avocado and some spicy sauce or a yogurt dressing such as tzatziki! Mix ingredients and form into patties. In a pan use a bit of olive oil to coat and cook each patty for 3-4minutes per side. Serve on a bun with fresh tomatoes, lettuce, and your choice of garnish or get creative with hot sauces and guacamole! 2 cups of steamed broccoli, drizzle tahini sauce on top to your liking. Blend all ingredients together in a food processor. The consistency of tahini sauce can range from very thin and watery to quite thick. Adjust the amount of water to reach the desired texture. This recipe is delicious and offers you non dairy and non meat options for iron and calcium as well as many other great nutrients! It’s also pretty simple to make! Enjoy! It’s RACE DAY! Do you have a RACE DAY NUTRITION PLAN? You SHOULD! ARE YOU READY FOR RACE DAY? Check our NEW RACE DAY PLANS! Have you ever put SO much time into your training, only to fall apart during your big ride or event due to poor nutrition? Did you decide to just “play it by ear”? Have you BONKED? CRAMPED? RUN OUT OF GAS? Have you finished frustrated because you trained so hard, yet didn’t have the nutrition to power you through the finish line? Did you lose your “pop”, have no sprint at the finish? It doesn’t have to end this way! You need proper nutrition to fuel you so that you can use all of that hard training you have banked over the past months! Want to have complete CONTROL OF YOUR RACE DAY NUTRITION? Anne has created plans from 100lbs up to 200lbs for every 10lb weight category. The plans are detailed and lay out PRE-RACE DAY NUTRITION leading in from 24hours before the race, as well as RACE DAY NUTRITION step by step starting from the minute you wake up until RACE TIME! Based on your grams/kg for your weight, you can be sure you will be fueled to POWER THROUGH THE FINISH and finish your event totally satisfied that you left it all out there, because you could! Here’s the link again for your RACE DAY plan! http://www.peakscoachinggroup.com/store/store.php/products/Race-Day-Nutrition-Anne-Guzman and don’t get left behind! STAY TUNED FOR THE IRONMAN PLAN! COMING SOON! Train HARD, Rest HARD, RACE HARD! Guzman’s Gourmet Pizza! Great for Big Training Weekends! Yes that’s right! I’m recommending PIZZA! Pizza has been given a bad wrap due to their typical high fat content. Most pizzas are loaded with cheese and for meat lovers often have high fat meats such as bacon and pepperoni or sausage. BUT don’t fear, you can still enjoy a nice pizza and incorporate it into a big training weekend, whilst reaping the benefits of healthy ingredients and a good dose of carbohydrates! Here’s my favorite recipe these days. Note that you can make your own pizza dough or purchase one of many pre made pizza dough’s on the market today to keep preparation time to a minimum. It all depends on how many pizzas you are making, how many ingredients you will need. This one is made with a pre made dough as time is short these days! And I needed to write this blog 🙂 with that extra time :). Put all the toppings on spread them out well. Be careful when you transfer to the oven as it’s heavy! So place your hands right under it as you slide it off the plate or put it on a pizza slate. I put it right on the grill. You can also BBQ it. Cook for about 15 minutes on 350F or until the crust is crisp right into the center of the bottom of the pizza. Remove, cut, enjoy once cool enough to bite into! This makes great left overs or a great team dinner! It’s simple, not a lot of prep but boasts a lot of flavor! Add some sun dried tomatoes or lean turkey sausage to mix up the flavors! There are also many great gluten free pizza crust recipes on the internet for those who require a gluten free pizza. RACE DAY NUTRITION – Don’t Get Left Behind! Buy your RACE DAY PLAN TODAY! Have you ever put SO much time into your training, only to fall apart during your big ride or event due to poor nutrition? Did you decide to just “play it by ear”? Have you BONKED? CRAMPED? RUN OUT OF GAS? Have you finished frustrated because you trained so hard, yet didn’t have the nutrition to power you through the finish line? It doesn’t have to end this way! You just need a RACE DAY PLAN! There are 3 main elements you need to have a solid nutrition foundation. You need good DAILY NUTRITION made up of the right macro-nutrients (carbs/proteins/fats), you need good TRAINING NUTRITION, from carbohydrates and you need good HYDRATION. And you need a PLAN that you can EXECUTE. The general guideline to follow for eating during training is to eat 1-1.7gr/carbohydrates per minute while training. This does not include an easy smell the roses 60minute ride where you would not require eating and would simply drink electrolytes in your bottles or water depending on if you even sweat. 1-1.7gr/carbs per minute is the same as 60-100grams of carbs per hour. Over 60grams can be absorbed when a carbohydrate is made up of more than only glucose (which you can only absorb 60gr/hour of). So for example products with sucrose, dextrose, maltodextrin etc. you can absorb up to 100gr/hour. Most products these days have more than one carbohydrate source in them as do most foods. Here are a few examples of what this could look like so that you can create your own combos. The trick here is to play around with this in training. Find out what you need for a hard 3-4 hour ride and what keeps you feeling strong all the way to the end. Don’t think that just because you are small you need to stick to 60gr/hour. Chrissie Wellington multiple time Ironman World Champion consumes 90gr/carbs per hour and she may weight 105 ish pounds? (she is not a big person at all if you haven’t seen her! She just has a nice big smile!). So it’s about your effort and your tank and what it takes to keep it fueled for performance. You can replace these items with foods or products you choose, but do pay attention to your consumption, especially as you get tired in the later hours of the ride when athletes tend to STOP eating and drinking. Don’t stop. 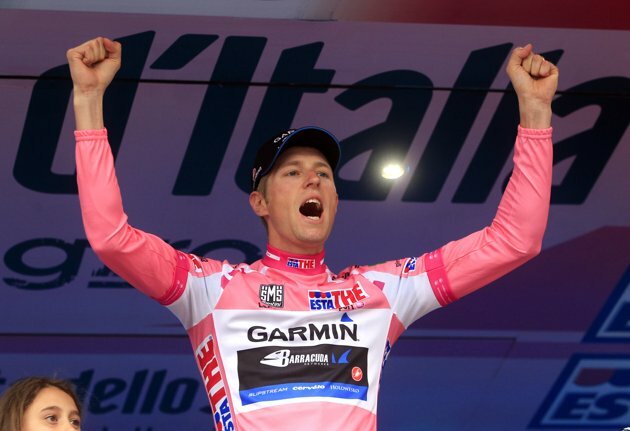 The rule is start “early and often” on long training rides. 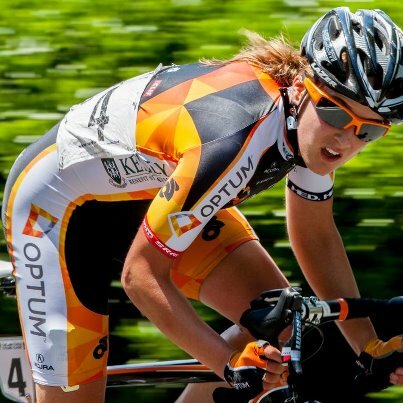 And also to pay attention to your nutrition the day before the race or big training ride. Interested in purchasing a SPECIFIC RACE DAY PLAN? Want to have complete CONTROL OF YOUR RACE DAY NUTRITION? Anne has created plans from 100lbs up to 200lbs for every 10lb weight category. The plans are detailed and lay out PRE-RACE DAY NUTRITION leading in from 24hours before the race, as well as RACE DAY NUTRITION step by step starting from the minute you wake up until RACE TIME! Based on your grams/kg for your weight, you can be sure you will be fueled to POWER THROUGH THE FINISH! Here’s the link again for your plan! http://www.peakscoachinggroup.com/store/store.php/products/Race-Day-Nutrition-Anne-Guzman and don’t get left behind! STAY TUNED FOR THE IRONMAN PLAN! COMING SOON! Post Workout Recovery MELON MANIA! Post workout snacks/meals should be both high glycemic and contain easy to digest protein. Generally you are looking for a low fat meal with low fiber. The meal should be consumed in the 30-60minute after completion of training for optimal glycogen replenishment and muscle repair. Although most fruit is not high glycemic by nature, melons rank quite high. 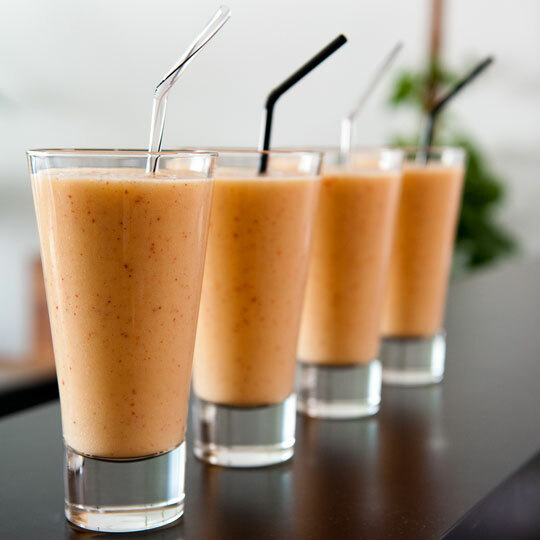 A nice post workout smoothie idea is vanilla cold pressed organic whey protein blended with fresh canteloupe and ice. It’s simple, tastes great and hits the mark from a nourishment persepective. Here is an example of what this shake would break down as for a 120lb athlete requiring 1.2grams of carbohydrates and approx .25grams of protein per kg post workout for up to 1-5 hours depending on the duration and intensity of the training/race. Protein 15grams, Carbohydrates 65grams. Calculate your recovery shake needs based on 1.2 grams of carbohydrates per kg and .25gr of protein and enjoy! 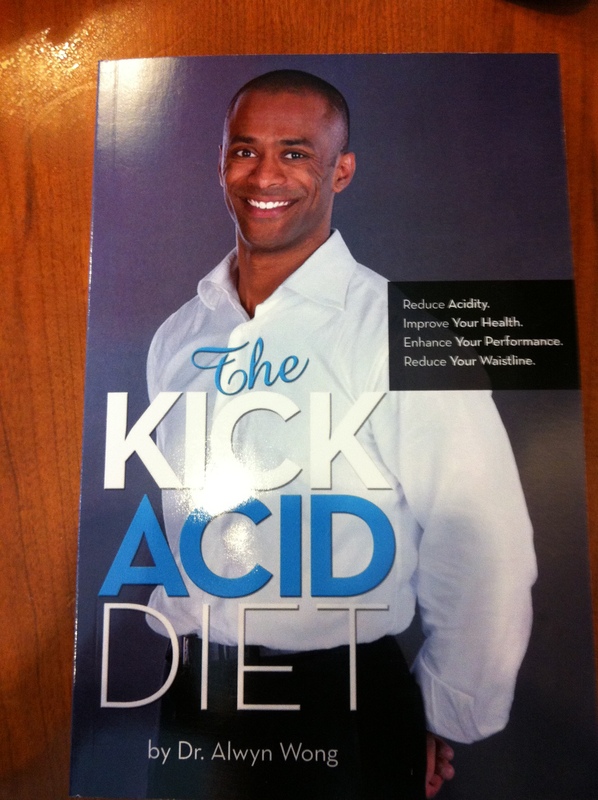 The KICK ACID DIET! Great Book Dr.Alwyn Wong! The Kiwi is a unique fruit. With its fuzzy little outer layer and unique green color speckled with black seeds, it surely adds a punch of flavor to your mouth! The taste is almost, invigorating! A small 2-3 inch kiwi packs a whole lot of vitamin C as well. More than an orange, which we all tend to equate as the vitamin C king. Kiwis are packed with phytonutrients. Research has demonstrated that it has an excellent ability to protect DNA in the nucleus of human cells from oxidative damage. Although researchers have not dialed in exactly which nutrients are causing this protective action, it would not be a reach to say that the high vitamin C and beta carotene in kiwi would be contributing. The bottom line is it is acting as a strong antioxidant in the body. Vitamin C acts as an antioxidant in the body and is water soluble. This antioxidant activity can reduce cell damage and in turn reduce inflammation in the body. This can be useful for both arthritis and asthma as well as for recovery as athletes. Vitamin C is also an important element for a healthy immune system. 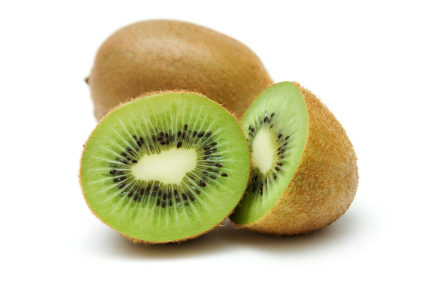 Kiwis are also a good source of polyphenols and potassium. This little fruit offers a lot of goodness! Kiwi is also a good source of fiber. Fiber is important to our health for helping to stabilize blood sugar and add bulk to our stools. It also helps us to feel full. Note that eating a lot of fruits and vegetables is a great way to feel satisfied and full due to their water content and generally higher fiber content vs processed alternatives. A diet high in produce will generally offer high nutrient density with a lower caloric intake. How to pick a kiwi? When at the grocery store simply take one in your hand and gently apply pressure. If there is NO give it is not ripe. A nice give but not too much means you have a ripe kiwi. However if you take a non-ripened kiwi home and let it sit on the counter a few days it will ripen. To quicken this process place the kiwi in a brown paper bag with apples or bananas. Once ripe you can store your kiwis in the fridge. They will keep longer if you store them in a plastic bag with a moist bit of paper towel. Antioxidants are typically at their highest in fruit when it is fully ripened. How to eat your kiwi? You can cut your kiwi in half and scoop out the inside with a spoon, or you can peel it and cut into chunks. You can clean the skin well, scrub the fuzz off and eat it as well. Yes! Kiwis have enzymes in them that will tenderize other foods as well as the kiwi itself. So once you peel and cut them you should eat them soon after, (for example if you are going to put them in a fruit salad), to avoid them becoming mushy! Consider mixing kiwi, pineapple and oranges chopped up to make a chutney for fish or chicken dishes. Kiwi is also great with strawberries chopped and topped with yogurt. Here is a GREEN GODDESS KIWI smoothie recipe for you to try! ATHLETE OCTANE…BOOST YOURSELF UP!! Tell NSAG why YOU NEED ATHLETE OCTANE and WIN!! One of my favorite Sports Nutrition Supplements is ATHLETE OCTANE! Have you tried it? It’s a tart little orange shot of nutrient density to support your body daily while training! JUST DRINK IT! Simple! “LIKE” https://www.facebook.com/nutritionsolutionsanneguzman here on FB and then go to http://athleteoctane.com and enter the code NSAG25 for 25% off your purchase at CHECKOUT! What’s in Athlete Octane? To name a few; Antioxidants, L-Carnitine, Co-Q 10, B12, Calcium, Magnesium, Grape seed oil and more. I notice my energy and recovery improving whenever I consistently take Athlete Octane! Check it out! Report back on what you think! Want a chance to WIN either a FREE 32oz bottle and AO cycling socks OR an AO “Travel Pack?” Tell us WHY YOU NEED AO in the NSAG comments section to this post on FB and we will pick a winner in 7 days!! GOOD LUCK! TRAIN HARD, RECOVER WELL! Having a “Cold One” this weekend? Try ORGANIC BEER! Enjoying the long weekend with a few cold “pops”…try organic beer! 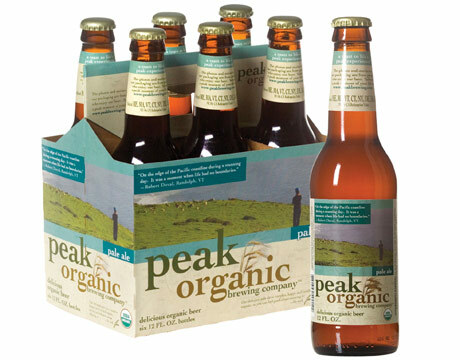 At approx 150 calories per 12 oz, organic beer offers more nutritional benefits than conventional beer. Less chemicals, more flavanoids and organic beer is made with hops and barley grown without pesticides. Brewers believe that organic ingredients allow for better taste due to better fermentation. Although I’m not a big beer drinker I’ve been told organic beers tastes better as well. If you are someone who is focused on improving their health, choosing organic is always a great choice. Now don’t get me wrong if you drink too many of them you will still get a headache and hangover! However you simply won’t have added all of the EXTRA chemicals to your body. Lakefront Brewery – also offer a gluten free beer! Have a great Canada Day weekend and enjoy responsibly! Looking for simple and healthy snack ideas for everyday nutrition? For when you are on the road travelling to races? Or perhaps you will need healthy snacks to get you through hours of watching the Tour De France?!? (replace all beer, wings and Mrs. Vicki’s chips with choices from below! ) Here is a list that you can refer to. All of these snacks have 200-220 calories. If you need more just add 1/3 or double, if you need less cut one in half. Healthy snacking is important for keeping blood sugar levels steady and energy up throughout the day. 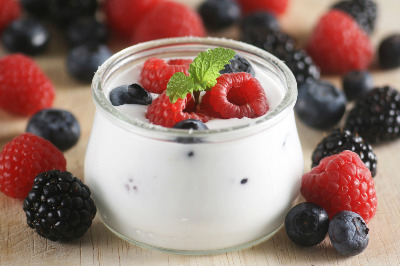 As athletes snacking is also important to help you get the fuel in that you need for perform. Try any of these and find your favorites!